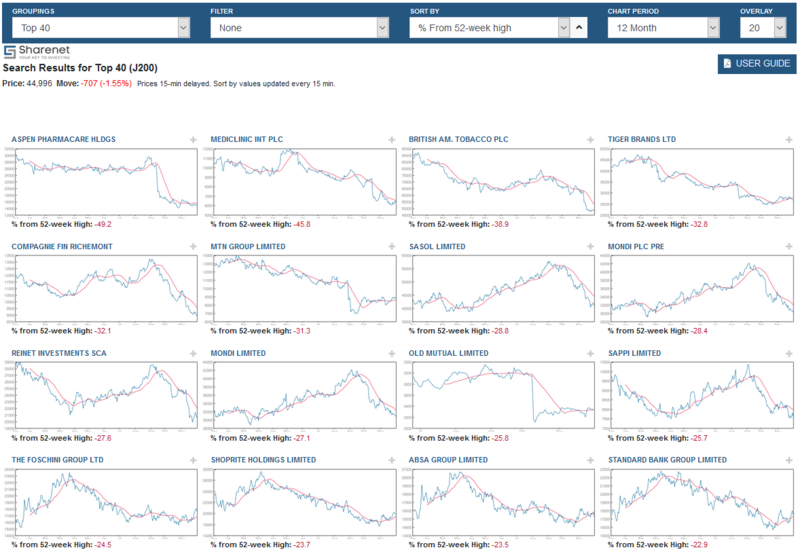 Views - Is this the Bottom of JSE 20% Correction? NOTE: This is a copy of an Analytics market alert sent to clients last week. Charts and data referenced may be out-dated. 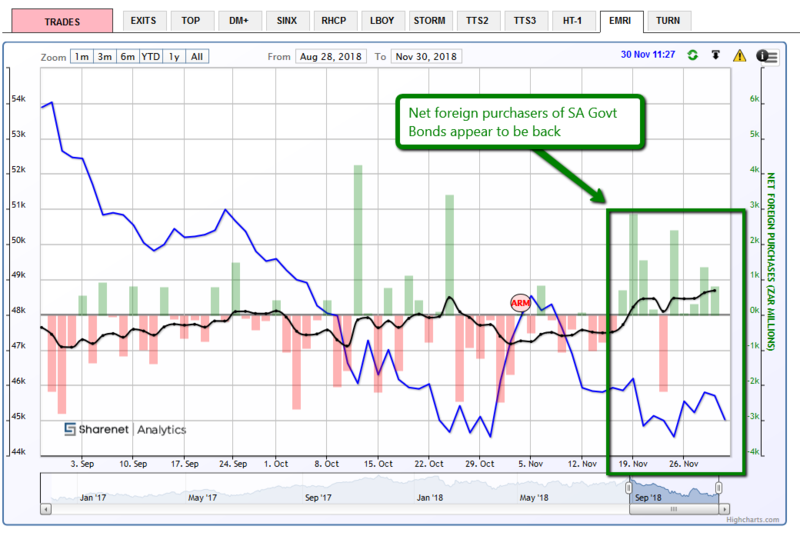 Looking at the above scanner output, the double-bottom and the alleged return of foreign bond buyers, I am inclined to start getting very tempted by the shape of the share price graphs of BTI, TBS, CFR, SOL, MND, TFG, SHP, and ABG. My personal favorite here is SHP. But I am hesitant for some very good reasons. 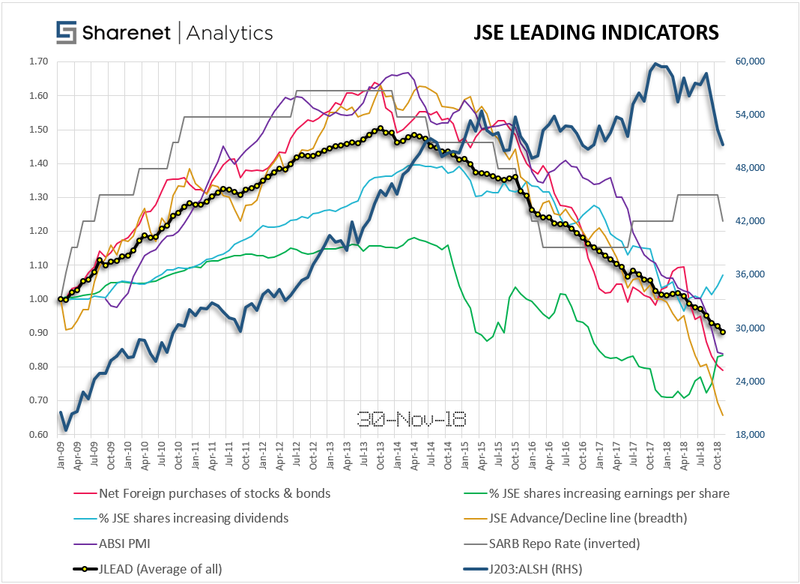 There is a brave attempt by the percentage of JSE shares increasing earnings and dividends but the recent interest rate rise put that to bed. I need to see some more of these leading indicators turn up before being coaxed wholesale out of the 80% cash positions I have been in for the last 3 years. I may start dipping my toes though. All that is left to say is this - when the JLEAD turns up in a convincing manner the mother of bull-runs normally ensues. I doubt we see another decade-long bull though - I give us 1-2 years before the US falls into recession and we usually follow suit in short order, albeit with up to a 6-month delay. But I have my fair share of wrong calls. Hopefully the US expansion can last longer and drag us up with it.